Wondering "Why am I here"? You should. You really should. 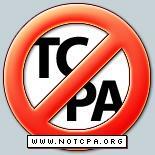 If you want to sign a petition against TCPA, visit the site. Thanks! "What is the "TCPA" (the Trusted Computing Platform Alliance)? "requirements", implicit in the "TCPA" standard. You think he's a paranoid nerd? No, he's not - he's totally right, unfortunately. Read on. This might be up your alley as well. Also, don't forget to support Hard Drive Recovery Associates, which recovered our RAID drive. Check out their page on one of their specialties, Mac hard drive failure and recovery.